Neck tattoos may be placed at a side of the neck, or even at both of its sides, and the nape of the neck. 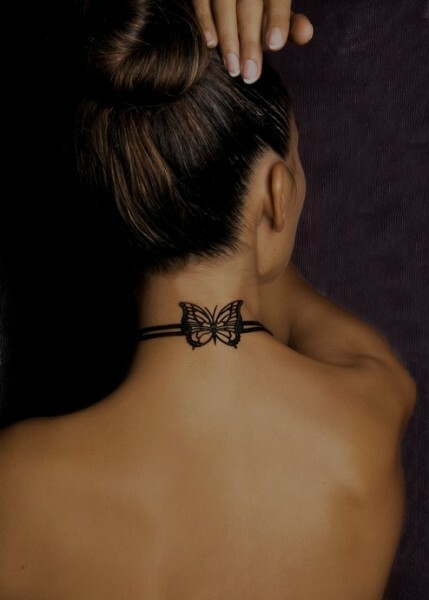 Back neck tattoos give a touch of charm to a woman and look like a delicate adornment. 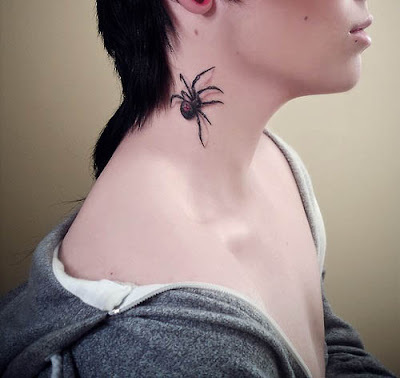 It is no surprise therefore that neck tattoos for girls are growing in popularity. 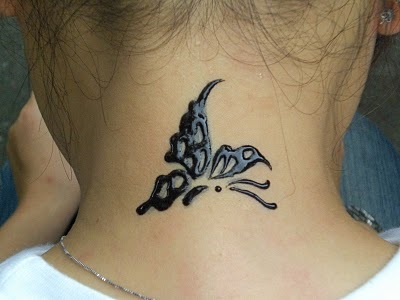 One of the most popular tattoos for any location is the butterfly which both women and girls can sport with pride. 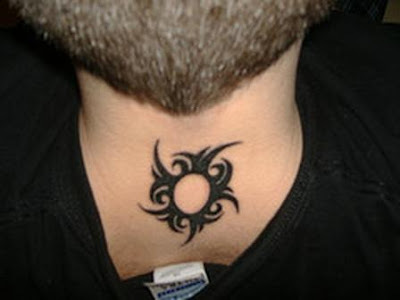 Neck tattoos require special aftercare and often re-ink sessions. 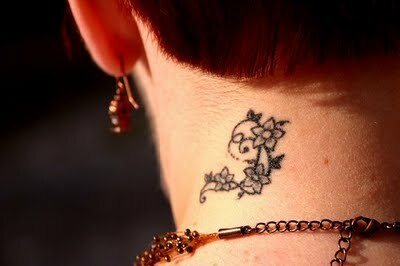 Their healing period lasts somewhat longer than that of other tattoos. 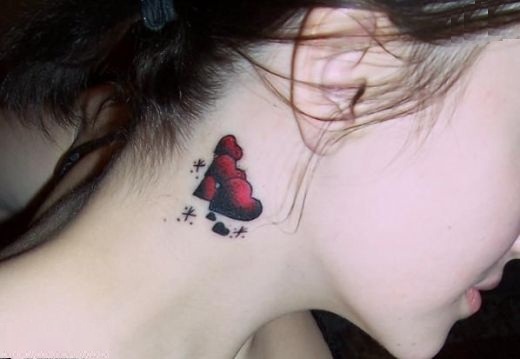 Luckily they are not as prone to infections as foot or hand tattoos.